Developers continue to talk about the mobs, which will be presented on Minecon 2017 and recently we got acquainted with the first mob - a monster of ocean depths. What is this creature under number B, which strongly resembles a ramp? This mantaray-like monster is a flying creature that spawns at high altitudes. It suffers from insomnia therefore it does not matter at what time of day you will swim. 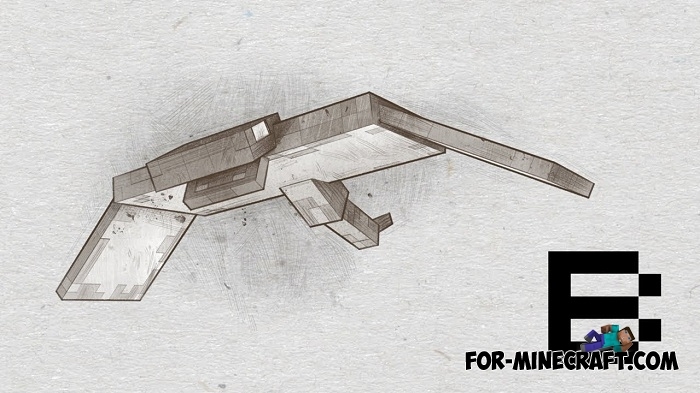 In fact, the idea of a flying monster sounds really interesting, because at the moment only bats like flying creatures exist in the usual world of Minecraft. And tomorrow we will see the next creature numbered C.
Redstone Mobs Addon v6 for Minecraft PE 1.2/1.6This addon adds 21 completely different unusual creatures based on Redstone blocks.. Bats Mod for Minecraft PEThe mod adds a new mob - a bat. Although she is not so useful and does not cause damage, but in the murder of her drop items for crafting super sword that kills all alone with hit!